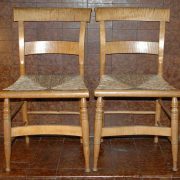 This beautiful American oak armchair boasts a wonderfully carved barley twist design throughout the piece. 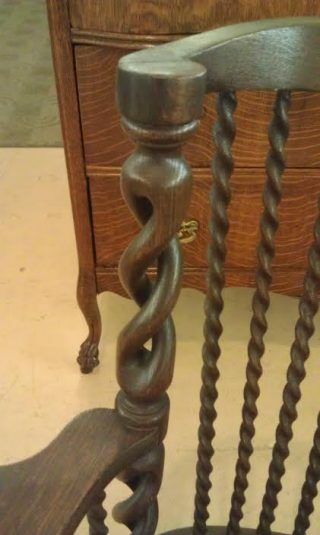 The front and back legs are a rare double twist. 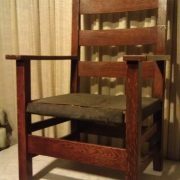 Still in its original finish, this chair represents the better pieces of furniture made by American craftsmen from the 19th century. 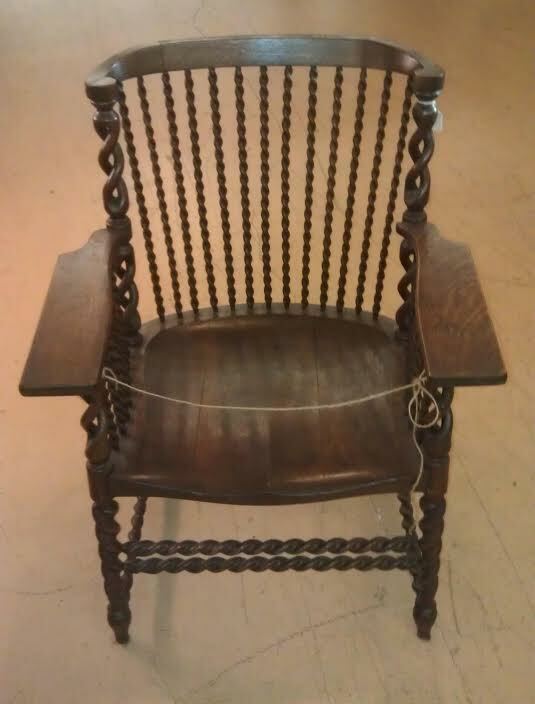 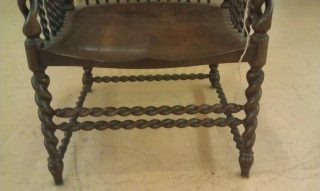 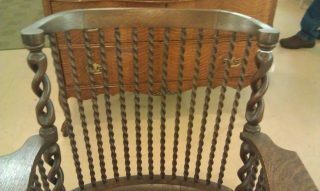 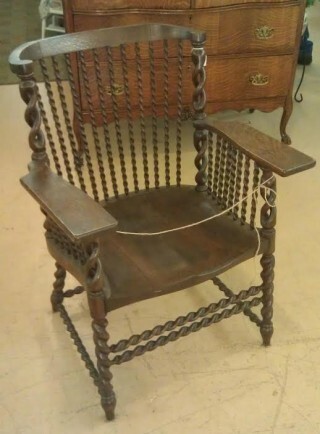 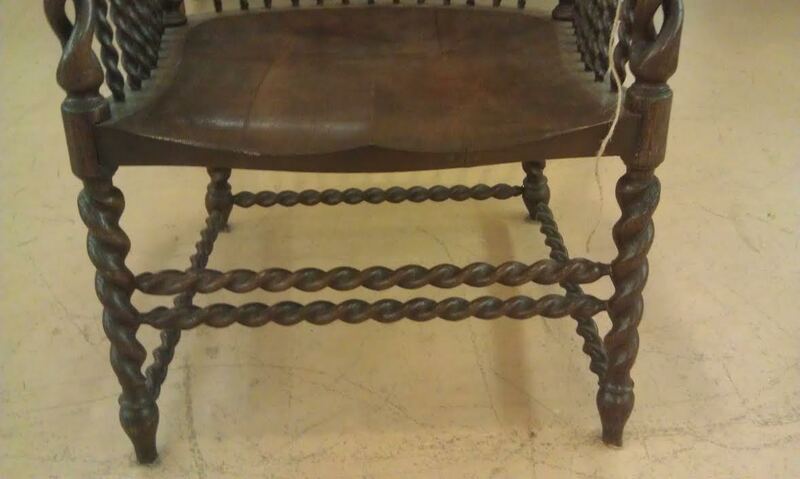 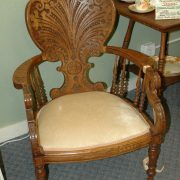 This chair dates to c. 1900. 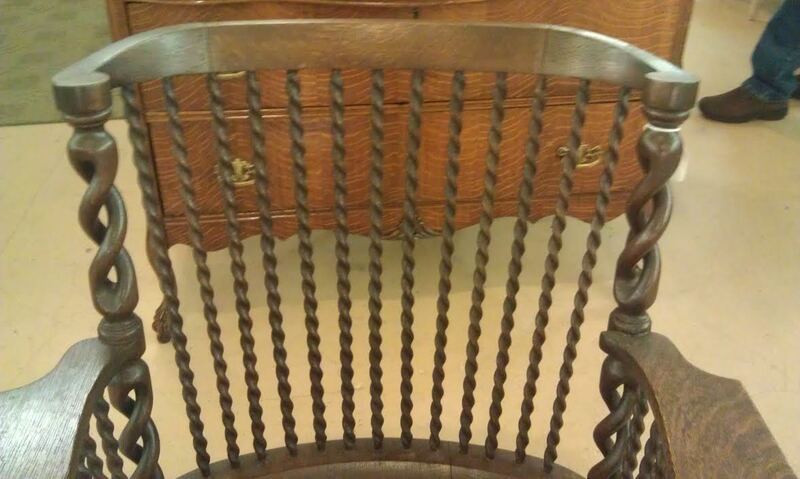 Two back rungs on the ends have been lost over time and theirs holes filled with oak. 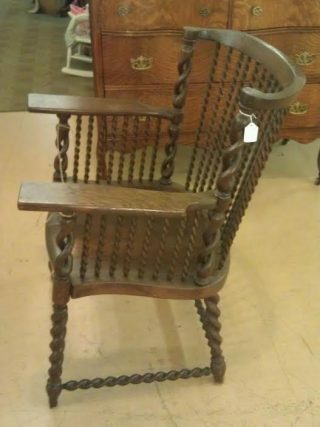 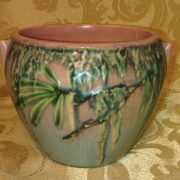 Still a great chair for your home.